It’s just another day in your typical Middle America town. Today may begin like every other day in this town of good, solid values, but children become suspicious when their mothers begin developing some very peculiar appetites. Flesh Eating Mothers is a non-stop action/comedy that tells the story of a kid’s worst nightmare: becoming dinner! One by one, mothers are infected with an unusual virus that makes them develop bottomless appetites. When they run out of food they simply walk next door, not to borrow a cup of sugar, but to make a new recipe with the neighbors as the main ingredient. The children begin to realize that their mothers are preparing some of the strangest meals for dinner and react with mixed emotions. Should they run away or even worse, kill their own mothers to end the mayhem? Add a pinch of police corruption and a dash of a cover up in the coroner’s office and you have prepared an 80’s cult classic. Looking for advice about an unexpected pregnancy, an innocent teenage couple wind up in a New York brothel. They accidentally set off a bizarre series of events that they’ll never forget… if they live to tell about it. Everyone in the brothel is in the wrong place at the wrong time, especially when The Suckling becomes an unwanted customer. The unconsenting girl is drugged, her baby aborted and the fetus is flushed down the toilet. The baby, exposed to toxic waste, regenerates and transforms into a vengeful mutant. Using its umbilical cord as a deadly tentacle and its razor-sharp arms as claw-like weapons, the mutant begins to wreak absolute chaos. The teenagers are frantically scrambling for any escape while the occupants of the brothel argue and turn on each other. With each passing hour, the minds and actions of all involved become increasingly panicked and desperate. The conclusion proves in a way never-before-seen that the special bond that exists between mother and child transcends everything in its path. Friday morning, April 1st. A sleeping Jessica Latham is chloroformed. Her husband Michael calls a friend on the phone and gets his answering machine. While he leaves the message, he’s murdered and made to look like he overdosed. However, the murder is recorded onto his friend’s machine over the phone. The killer is in a quandary. He must retrieve the tape or risk having his plans shattered. Eddie Flanders, a school teacher, is the unfortunate recipient of the grisly recording. Flanders discounts it as an April Fool’s joke. After narrowly escaping an attempt on his life he seeks answers from his deceased friend’s wife. The two set out to find the murderer with the help of a detective nearing retirement. No one can be trusted as they’re drawn further into a web of corruption, deception and murder – all leading to a violent showdown. Tenants of Apartment 5B, on Manhattan’s tony Upper East Side, never seem to make it through the entire terms of their leases. In fact, most never make it past the first night. 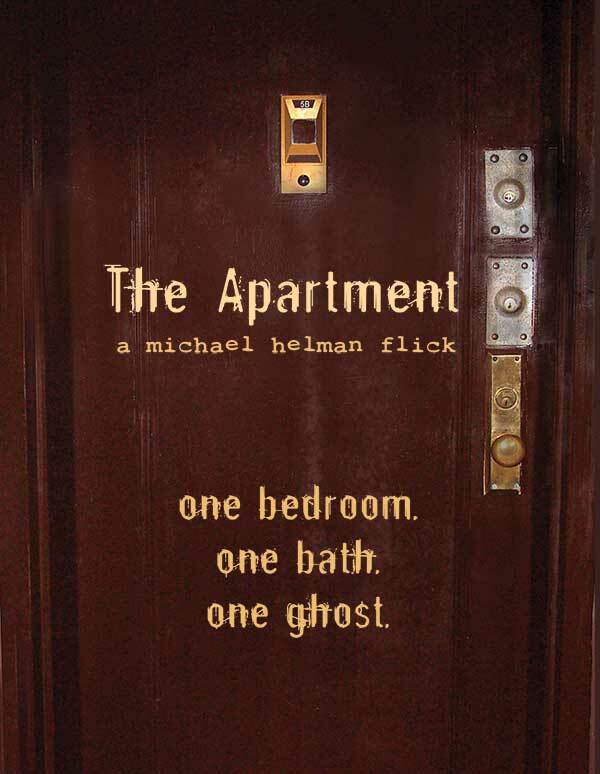 The Apartment is a haunting account of 5B’s latest resident, Brian Fisher, a twenty-something bachelor getting his first taste of the big city. After a series of mysterious events, Brian suspects that the one bedroom he now calls home is inhabited by someone or something he can sense, but can’t see. When he learns the horrific history of Apartment 5B, his suspicions are confirmed, and his greatest fears realized in a chilling conclusion that brings Brian face to face with his unwanted “house guest.” They warned him that living in a big city could leave him feeling like he was all alone. Ironically, that’s all Brian wanted…after moving into The Apartment. Marc Friedman has been on so many dates lately, he’s on a first name basis with every maitre d’, waitress, and bus boy in Manhattan. Unfortunately, all he has to show for it is a bank account that’s depleting quicker than his hopes of ever meeting “Ms. Right.” His dating profile says his ideal match is “a sweet, intelligent, down to earth woman,” but the only place he can find love online requires that you pay by the minute. Frustrated and alone, Marc is considering giving up dating altogether until his unhappily married friend, Ira, gives him an idea. Inspired by Ira’s theories on men and women, Marc heads back into the dating world with a new sense of purpose, only now his “ideal match” isn’t what he or anyone ever expected. Mandate, the first “bromantic comedy,” chronicles an experiment in courtship that may turn the dating world on its head, as one brave, pioneering, and lonely man dares to ask the question: Can two STRAIGHT men actually date each other?